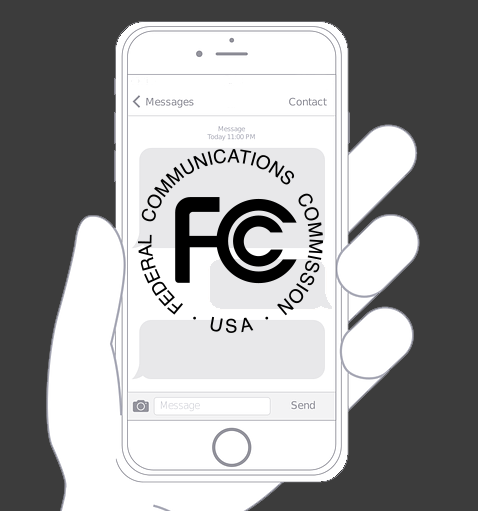 Is your texting service provider putting your shop at risk for substantial fines by the Federal Communications Commission (FCC)? Just ask Jiffy Lube if it was worth the risk of paying $47 million dollars for sending promotional texts. Knowing the difference between informational and marketing texts could save your business from this type of significant risk. Marketing texts are messages that offer goods or services or may induce a recipient to purchase goods or services, and they often carry many restrictions. On the other hand, informational messages such as appointment reminders or vehicle status updates have fewer restrictions and are safer as long as they do not have traces of marketing content included. The problem for your auto repair shop is that any informational text could easily turn into a marketing text, putting your shop at risk. Consider the scenario where you text your customer, “While checking your brakes like you asked, I also noticed you need to fix your alignment. Do you want me to do that also?” In this case, you just stepped over the line into sending a marketing text and subjecting your business to fines between $500 and $1,500 per illegal solicitation. Of course, the reality is most consumers are not going to pursue litigation, but they could. With an increasing volume of unwanted calls and texts over time, consumers may become more agitated and apt to pursue action. One of the biggest risks comes from texting campaigns to groups of customers, leaving you liable for exponential fines. That $1,500 fine could turn into $15,000 or even $150,000 if you send that promotion to 100 customers. The Telecommunication Protection Act (TCPA) was enacted in 1991 and the Federal Communications Commission (“FCC”) has implemented various regulations affecting texting since that time. The TCPA regulates telemarketing, including texting, to residential and business wireless lines. Text messages sent via a software application are subject to the same consumer protections as telemarketing “auto-dialers” or “robo call” calls under the TCPA. Depending on the content of the text, there are two levels of consent required by the TCPA for texting a wireless phone line, the technology used to text and/or whether the recipient appears on the national or state Do Not Call Register. Prior Express Consent (PEC) – Only verbal prior express consent is required to send texts to wireless numbers for informational texts related to a specific transaction. In other words, verbal consent is fine if the text does not contain marketing and if the recipient’s number does not appear on national (or state) Do Not Call Register. Furthermore, when a person provides his or her wireless number, this is considered prior express consent to receive informational texts. The content of the texts should be related to what the wireless phone number was provided for. It is important to note that some legal experts think that based on the number of lawsuits surrounding consent, it is recommended that a sender always secure Prior Express Written Consent prior to engaging in any type of text messaging with recipients. Prior express written consent (PEWC) – Prior express written consent is required in order to legally send text messages that contain marketing or advertisement content to wireless numbers or if that recipient’s wireless number is on the national or state Do Not Call Register. In addition, refrain from sending a text where you are seeking consent (PEWC) because this can be considered the first text to the recipient that could be considered marketing in and of itself. DISCLAIMER: THIS BLOG POST IS NOT OFFERED AS LEGAL ADVICE AND THOSE READING THIS SHOULD CONDUCT THEIR OWN INDEPENDENT RESEARCH AND/OR CONSULT LEGAL EXPERTS BEFORE MAKING BUSINESS DECISIONS RELATED TO TEXTING. Next:Are customers finding your shop first?